The Mount Horeb Area Historical Society celebrates and preserves the rich ethnic and rural heritage of Southwestern Dane County's Driftless Area. The Society enhances community cohesiveness through multi-generational education and outreach that promote cultural insight and a sense of place. The Driftless Area served by the Society, contains over 14,500 people of all ages and income levels. Approximately 19,000 school children, K through 12 attend school within a 30 mile radius of Mt. Horeb. The tourism and recreation opportunities of the area are world famous and draw an estimated 250,000 tourists every year. The work is accomplished by a dedicated group of talented and energetic volunteers, a small but professional staff, a Board of Directors consisting of 13 accomplished community leaders and a generous membership. The Mount Horeb Area Historical Society was founded in 1975 and is an affiliate of the Wisconsin Historical Society. 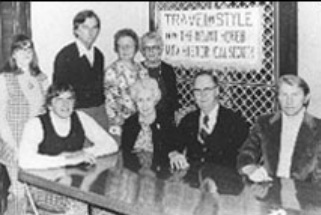 In 1977, the Village of Mount Horeb offered space on the third floor of the Municipal Building on Main Street for a small museum. The Society began carefully collecting and preserving artifacts, paper records and photographs with which to tell the story of the lives and landscape of the Driftless Area. 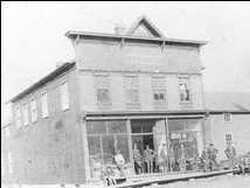 In 1996, the Society purchased a two-story, 1890's vintage building in downtown Mount Horeb. The “Gilbertson Building” exterior was renovated to its original Victorian appearance. The 4,600 square foot interior was remodeled to accommodate new interpretive spaces and decorative arts storage. The new museum was an immediate success and is now part of southwestern Wisconsin's well-known heritage tourism. 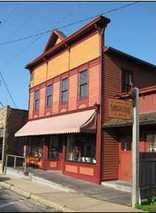 In 2001, the Mount Horeb Area Museum was awarded the Rueben Gold Thwaites Trophy. It is the Wisconsin Historical Society's highest honor. In 1998, the Wisconsin Historical Society awarded the MHAHS Board President the Award of Merit for Outstanding Achievement in the Preservation of Local History. The Mount Horeb Area Historical Society Archives is in the slow process of moving from the 3rd floor of the Municipal Building to our new facility at the Driftless Historium. The Archives collects, preserves and makes available, organizational records, personal papers and photographs that tell the story of this area. The archival holdings now include 1,200 linear feet of historic papers, over 15,000 photographic images as well as maps, architectural records, oral histories and more for use by students, genealogists, journalists and the general public. In 2013, the Archives became the official repository of the Village of Mt. Horeb records of historical value. The Mount Horeb Area Historical Society offers interpretive exhibits, special events and seminars for educators, tourists, students and the general public. An annual meeting brings nationally known speakers on a wide variety of topics. The Society regularly contributes to local newspapers and journals as well as publishing a quarterly newsletter. In 2012, the Society instituted a Partners in Heritage project enabling us to interface more effectively with neighboring cultural institutions. Driftless Historium is now open!